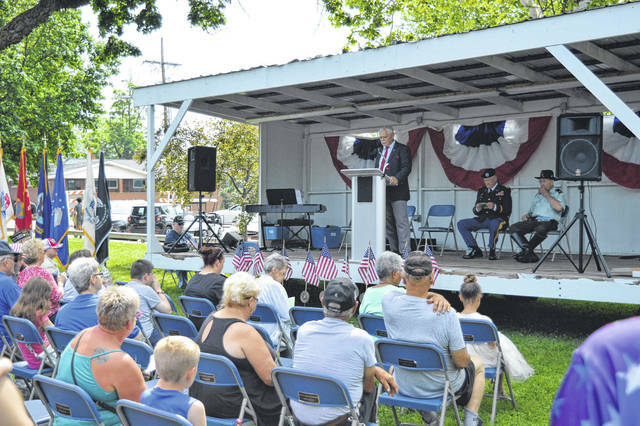 Area residents prepare to listen to the Memorial Day keynote speaker, retired Colonel Bob Wetterstroem. 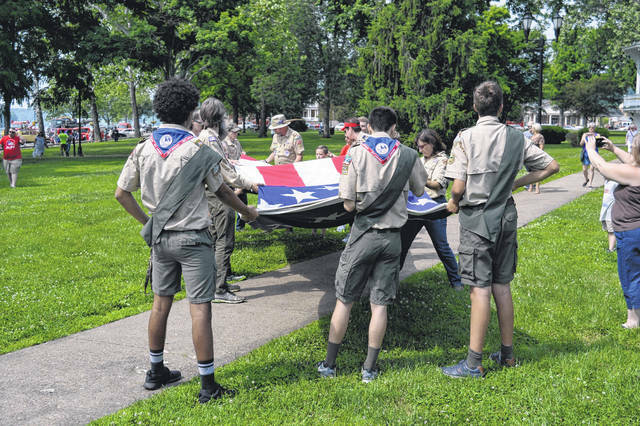 Boy Scouts fold a large flag just before the Memorial Day Ceremony. 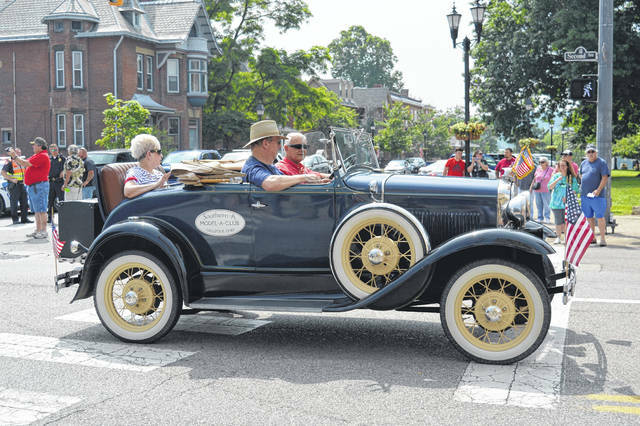 Southern-A Model-A Club rolls by. 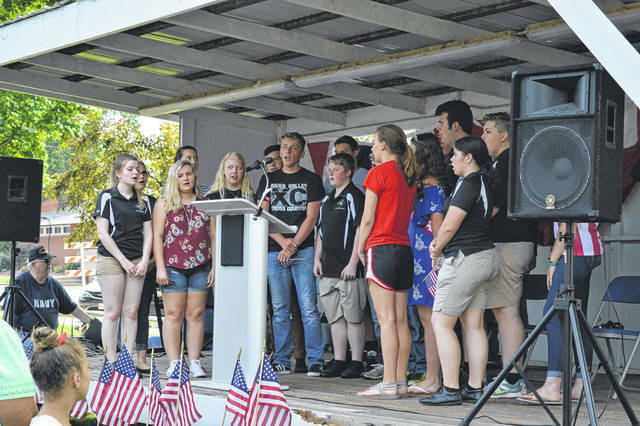 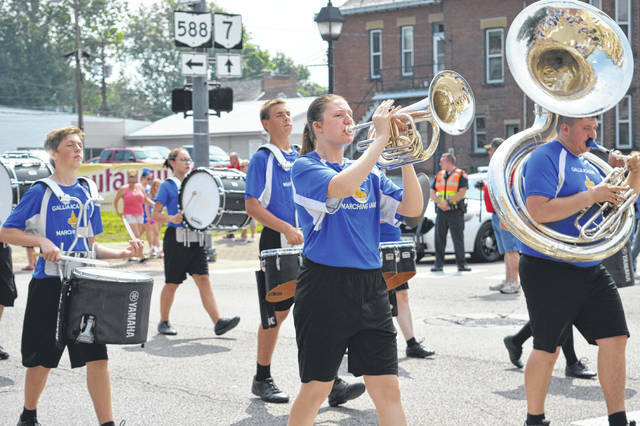 Gallia Academy Marching Band rings out with patriotic tunes. 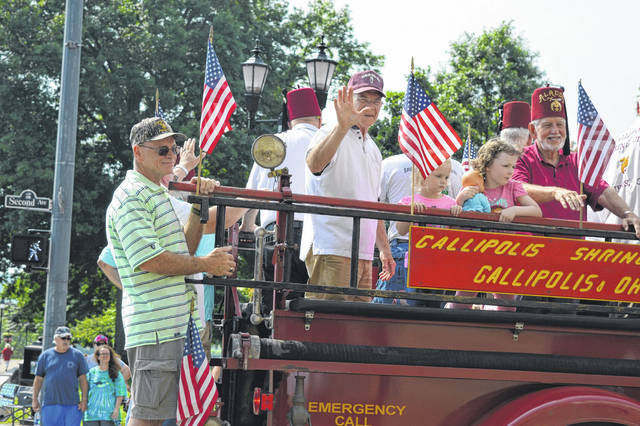 Gallipolis Shriners wave to spectators. 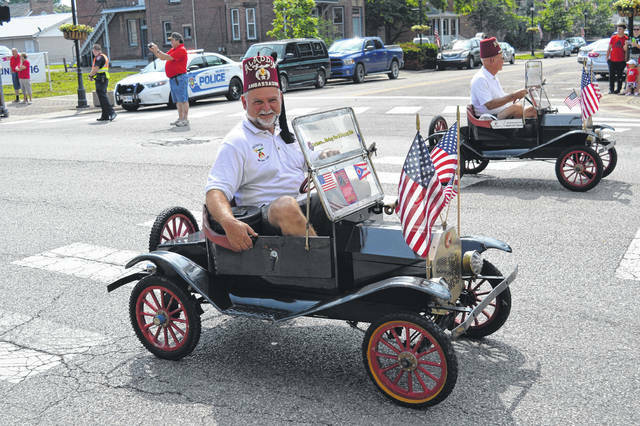 Tiny cars buzz by with Shriners behind the wheel. 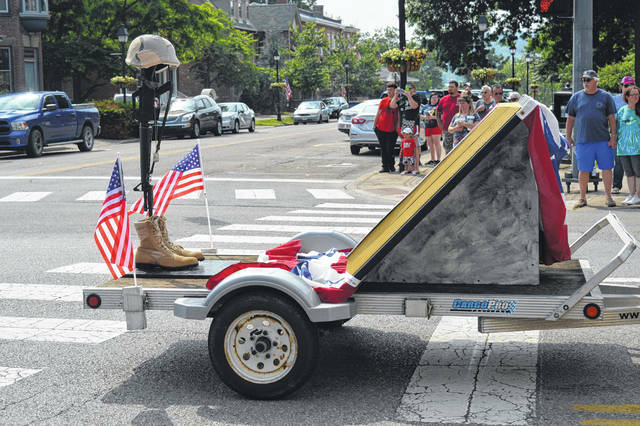 The Battle Cross is often used as a symbolic marker on a battlefield or at a base camp for a soldier who died. 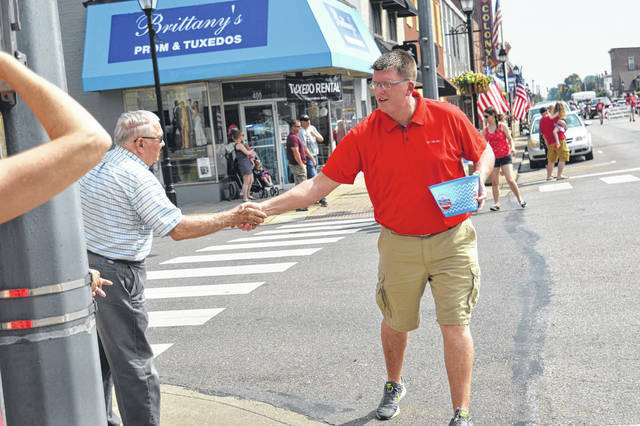 Gallia Prosecutor Jason Holdren greets area residents. 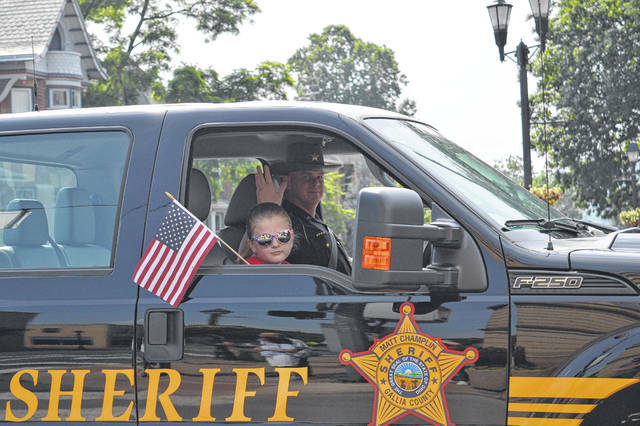 Gallia Sheriff Matt Champlin waves to the crowd. 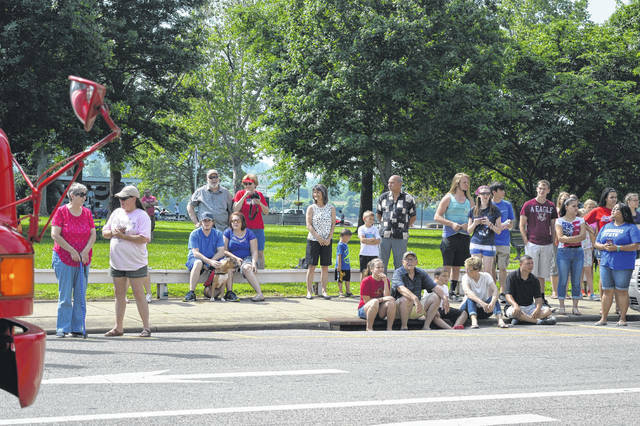 Onlookers witness as the Gallipolis Memorial Day Parade rolls by once again. 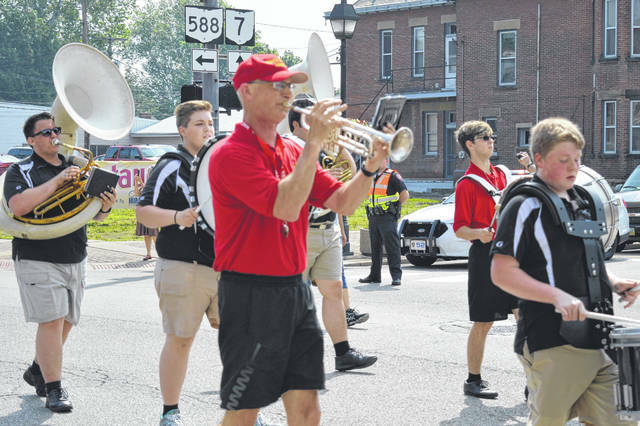 River Valley and South Gallia Marching Bands promenade to American classics. 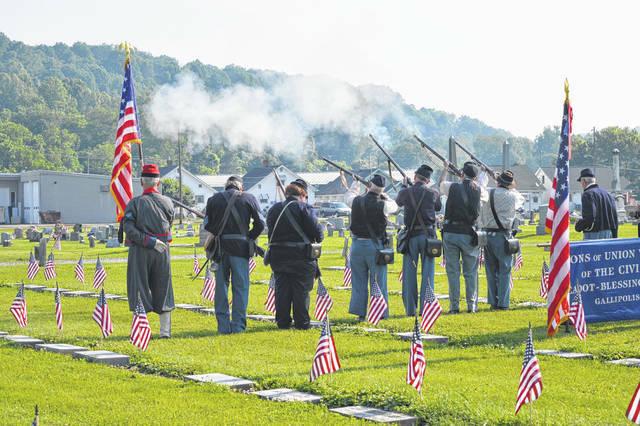 Members of the local Cadot-Blessing Camp #126 SUVCW hold a firing salute. 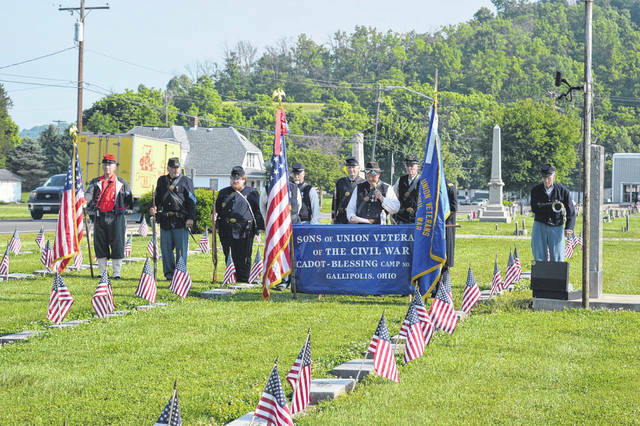 Cadot-Blessing Camp #126 members hold a separate Memorial Day Ceremony in Pine Street Cemetery. 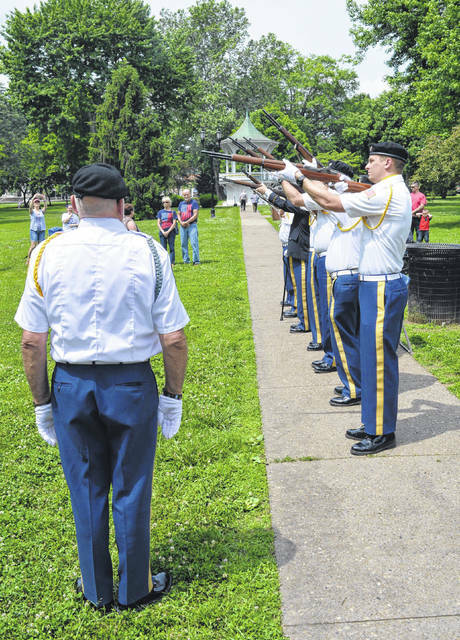 VFW 4464 Honor Guard holds a firing salute at the end of the Memorial Day Ceremony in Gallipolis City Park, Monday.